Sarah is the president and chief executive officer at the Alliance for Health Policy. She drives the mission and vision of the Alliance, as well as advances and maintains the reputation of the organization as the leading nonpartisan resource for policymakers and health leaders in an evolving health policy environment. Sarah joined the Alliance in 2014 as the vice president for policy and became president and CEO in May 2017. Sarah has long been an influential force in shaping health policy, having served as a senior aide on Capitol Hill and as a member of the research faculty at the Georgetown University Health Policy Institute’s Center on Health Insurance Reforms. Sarah holds a master’s degree in public health from the Yale School of Public Health and a bachelor’s degree in chemistry and literature from MIT. Sarah also holds an Executive Certificate in Nonprofit Management from Georgetown University. Kelly is the director of external affairs at the Alliance for Health Policy. She oversees the Alliance’s development efforts, strategic partnerships and communications. She works closely with the President & CEO on stakeholder engagement, congressional outreach, and special events execution. Previously, Kelly served as the assistant director of external affairs. Kelly joined the Alliance in 2015 and served as congressional events and outreach manager before becoming assistant director of external affairs in June 2017. Before the Alliance, Kelly worked in communications and development, beginning her career in public relations on Capitol Hill in the press shop for a New York representative and working as a summer associate for Curley Company, a Washington D.C. public relations firm. Kelly holds a bachelor of arts in history and government from St. Lawrence University. Kerry is the program assistant at the Alliance for Health Policy. Kerry plays an essential role in boosting the policy and programs team with critical research and program-related tasks, such as speaker management and event logistics support. Before joining the Alliance in February 2019, Kerry worked as a campaign aide on a congressional race and as a legislative intern in the office of Senate Democratic Leader Charles Schumer. He also served as a policy intern for the House Committee on Ways and Means and an economic policy intern at the Bipartisan Policy Center on their evidence-based policymaking initiative. Kerry is currently finishing his bachelor’s degree in government and politics at the University of Maryland, College Park. Rena Hernandez is the manager of finance and operations at the Alliance for Health Policy. Rena supports the entire organization by overseeing logistics and operations for the Alliance, including invoicing, office procedures, and official records. Rena joined the Alliance in February 2017 as the office manager. Prior to the Alliance, Rena worked as a field organizer for political campaigns in Ohio, where she trained and supervised campaign volunteers and coordinated voter education activities. Rena attended Loyola University New Orleans. Kathryn is the director of policy and programs at the Alliance for Health Policy. Kathryn leads the policy team and oversees the production of high-quality, timely, informative briefings and materials. Previously, Kathryn served as the assistant director of policy and programs. 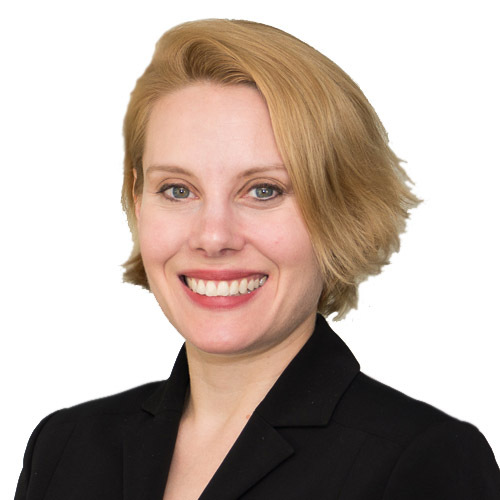 Kathryn joined the Alliance in January 2018 as a senior health policy analyst with eight years of experience in the health care industry. Her previous experience includes working as the senior health policy analyst and associate director of operations for the Advisory Board Company. Applying her passion for public health and health policy research in diverse environments, Kathryn also spent time working as a health policy fellow in the D.C. Office of Senator Chris Murphy. Kathryn holds a master’s degree in public health from The George Washington University and a bachelor’s degree in biology and sociology from Cornell University. Ann is the communications associate at the Alliance for Health Policy. Ann plays a key role in helping to promote and integrate the mission of the Alliance while working closely with the director of external affairs to develop and execute a comprehensive communications strategy. Ann has an array of experience, particularly in multi-platform storytelling, social media content, graphic design, and research. Before joining the Alliance in January 2018 as the communications and marketing assistant, Ann worked as the photography intern at Wake Forest University as well as the production assistant for Melissa Harris-Perry Productions, LLC. She also in the inaugural class of the Elle.com Scholars program. Ann holds a bachelor’s degree in sociology and studio art from Wake Forest University. Jill is the health policy analyst at the Alliance for Health Policy. Jill plays a key role in developing programming that is balanced, informative, and relevant to our audience. Before joining the Alliance in January 2018 as a program assistant, Jill worked as a Legislative and Health Policy Intern for Powers Pyles Sutter & Verville PC. She has also held positions as a policy intern for the International Alliance for Responsible Drinking and as a Public Service Summer Fellow with Lancaster General Health-Penn Medicine. She holds a bachelor’s degree in government from Franklin and Marshall College. Shelby is the events and outreach assistant for the Alliance for Health Policy. Shelby plays an essential role in the external affairs department in assisting Kelly with handling event logistics, assisting with congressional and stakeholder outreach, and serving as the main scheduling contact for Sarah. Before joining the Alliance in February 2019, Shelby worked as the finance and fundraising director for Senator Jeremy Ring in Florida, Senator Erica Smith in North Carolina, and other races across the country. She holds a bachelor’s degree in political science from the University of North Carolina – Wilmington.